President Trump chaired a meeting of the UN Security Council on Wednesday, leading a more or less restrained discussion of non-proliferation issues. 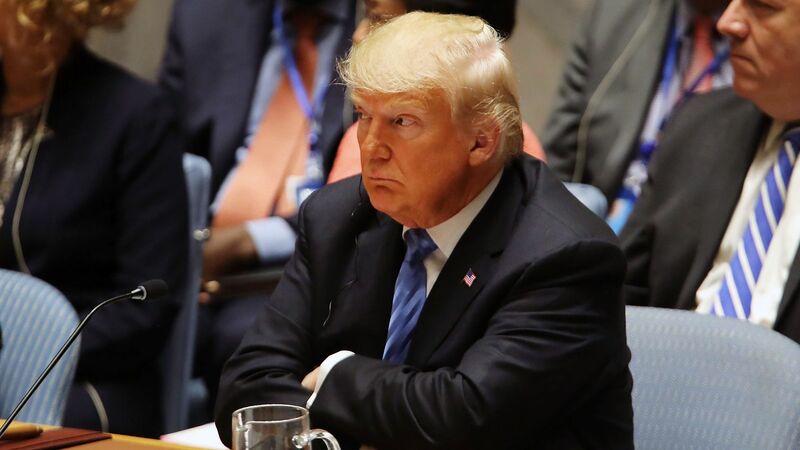 He delivered prepared remarks focused on touting his diplomatic outreach to North Korea and expanding the case against Iran that he had made in his General Assembly remarks. The 14 other members then spoke, with even Kuwait arguing in favor of the Iran deal. Why it matters: Historically, such a forum allows a U.S. president to put a difficult issue on the international agenda and push other countries toward progress, however uncomfortable the decisions involved. The meeting Trump led did little to advance solutions to national security challenges, other than underscore U.S. isolation on Iran (despite valiant efforts from President Macron of France to highlight areas of agreement). The background: This was only the third time a U.S. president has personally chaired a UNSC meeting. In 2009, President Obama used the opportunity to secure the resolution that launched the Nuclear Security Summit process and strengthened international resolve around sanctions on Iran and North Korea. In 2014, Obama returned to the Council to win unanimous support for a resolution that included specific steps to prevent the flow of foreign fighters to terrorist groups, including ISIS. Behind the scenes: The fractured policy process within the Trump administration contributed to the outcome. After they announced the meeting would focus on Iran, U.S. allies pushed back and it became clear that the invitation of an Iranian representative would be called for, setting up an ugly confrontation. It was only then that the topic was expanded (and UN Ambassador Nikki Haley thrown under the bus), leaving no time for real diplomacy to find a meaningful outcome that the Security Council could endorse. The bottom line: Given the scar tissue around Trump's Iran deal withdrawal, he probably could not have chaired a productive session on nuclear arms control. But he passed up the chance to champion another issue — perhaps peace and security initiatives that would have bolstered his counternarcotics meeting earlier in the week — and only received a talking to from the delegates around the table.